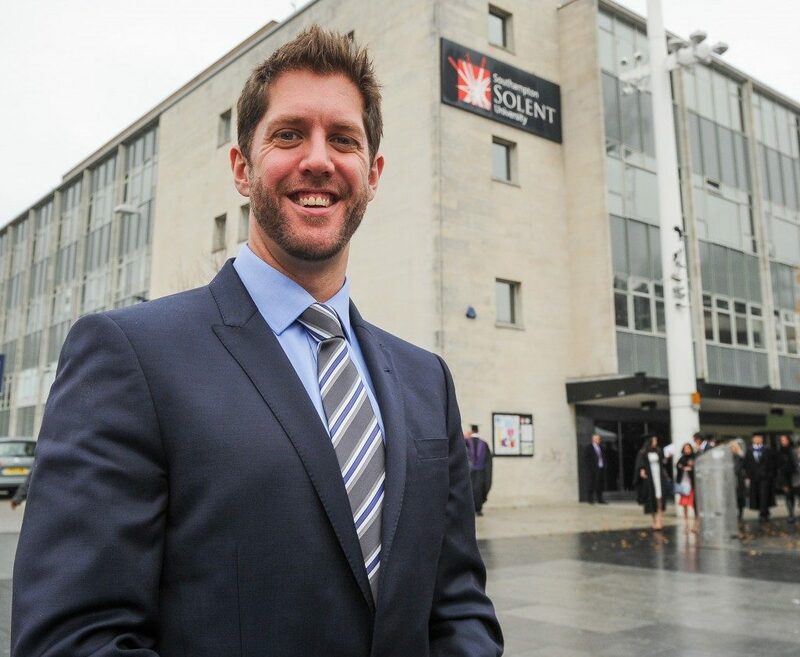 James Fisher PhD (Instagram, Facebook) is a Course Leader and Senior Lecturer for the School of Sport, Health and Social Sciences at the Southampton Solent University in the UK. He is regarded as one of the leading researchers in exercise science, and in particular, resistance training. Listen to my other episodes with James here: Part 1, Part 2, Part 3, Part 4, and Part 5. Periodization: What is it Good For? Looking forward to listening to this one! Have a lot of time for James Fisher! Thanks Matt. Let me know what you think! 20 sets per muscle group is ridiculous. Can’t help but think that’s a recommendation for serious Bodybuilders who lets be honest are probably using various ‘supplements’ and or are genetically blessed. Most people are just gonna get injured and/or become chronically overtrained doing that. Apart from that though don’t really have any real issue with the table. Yes, and you have to also remember that that’s 20 sets predicated on many sets not to failure, and probably no where near the level of intensity that most HIT proponents are accustomed too. Moreover, they’re also coming at it from a higher frequency perspective. Personally, I think that 1 set a week to failure in our context is sufficient! Question for James, what’s his current view on progressive overload? Thank you for the great interview. I always like hearing James Fisher. Question, you recommend single sets. How many exercises for a given large muscle group (back, chest, legs) in a given session to to maximize hypertrophy? Hey Marc – listen from 18:40, let me know if this answers the question for you. It doesn’t look like it based on the show notes but I’ll ask anyway. Did you happen to bring up Ellington Darden’s new 30-10-30 thing from his new book? Hi Keith – no, we didn’t bring that particular book up. We brought up The New High Intensity Training, which I like a lot. I didn’t really like Bodyfat Breakthrough (30-10-30). IIRC, there was a little too much hyperbole and not in line with the preponderance of evidence. It’s fine as a basic HIT guideline though. I just don’t think there is anything special about 60s negatives when it comes to hypertrophy / fat loss. I know that the scope of the episode didn’t encompass nutrition but I’d be interested in hearing Jame’s opinions on the matter. Rationally thinking I’m not that interested in hypertrophy for its own sake (irrationally of course I’m as obsessed as the rest of you). So, I’d be interested in hearing what James thinks the less tangible benefits of RT are (aside of course from “pure strength”)? With that in mind I’d be interested in knowing what, as a general guide, levels of hypertrophy can be used as a proxy measure of? …with regard to positive adaptations, general amd specific health benefits etc. Thanks Andrew. We’ll probably look to cover this in a separate pod, since Part 2 will be primarily focused on Qs related to muscle growth and not the benefits of hypertrophy. I’ll note this for future podcast. Thanks Lawrence. Anyone that has good information on this would be of interest. It’d be nice to have a comprehensive view on the matter so one can justify their “obsession” with more than the perception of being vain. Regarding the science of strength training: By now, your various interviews have covered the prevailing scientific theories around this. I suspect that you will find progression of this knowledge going forward will happen at what seems like a glacial pace. I found your comments regarding claims by some that HIT gave them much better results than conventional training to be interesting. The debate usually seems to revolve around whether or not you can get a little more by doing more volume. I don’t think I’ve every seen a study where the HIT protocol turned out to be clearly superior to more conventional higher volume training. On the other hand, I recently listened to the podcast that Doug McGuff did with Abel Csabai. Unless I misunderstood his comments, I thought he stated that he didn’t get much in the way of results UNTIL he switched to HIT (lower volume and more intense). Perhaps there are a group of outliers who actually get better results from HIT than higher volume? I did hear James Fischer utter the phrase “true muscular failure”. So as part of your follow up, perhaps you could ask him what true momentary muscular failure looks like from a physiological perspective. I’m currently of the opinion that MMF is simply a functional definition, that at a particular point in a very specific exercise, the assembly of muscle, bone, and connective tissue that provides the motive force can no longer overcome the resistance provided by the machine or free weight. If something physiologically significant occurs at that point, what is it? As a followup, I might then ask: when you take a compound exercise to MMF, how do you tell which muscles have reached MMF, and which haven’t? Have you then failed to stimulate the muscles that didn’t get to MMF? And what happens in an ARX set, where there is no clearly defined point of failure? It seems with that machine you just inroad until you decide that you have had enough, and then you quit. Regarding the 20 sets per body part: Schoenfeld recently published a study that claims to show additional hypertrophy from using up to 30 sets/week for the upper body, and 45 sets/week for the lower body. He has gotten some push back on that, even from folks who believe there is value to doing more that 1 set to failure. Also, to point out the obvious: there is a lot of space between 1 set per week and 20 or 30 or 45 sets per week. For me, 20 sets per week per body part is way too much to ever contemplate. But doing 3 or 4 sets per compound exercise per week need not involve an extraordinary amount of time. Hey Greg – agree regarding glacial pace! IIRC, Doug McGuff did very high volume prior to what he does now. So could be an example of an extreme change in volume helped him get better results. What I didn’t say was that I have been reducing my volume and increasing my intensity before I came across HIT, and this was a consequence of building up my knowledge base around exercise overtime. I went from bro-splits with multiple sets and throwing tons of crap down my throat to The Spartan Health Regime, which was far more abbreviated and focus on multi-joint movements but still 4+ times a week, and then I reduced further with HIT to once or twice a week. Great question regarding MMF. Will consider for Part 2. Oh boy do i have a lot to say! A lot of what Bret says in his table is NOT scientifically supported. FE: “…and you can’t so SuperSlow reps..” Where is the evidence to support this claim? I’ll say more later. I REALLY enjoyed and agreed with James on virtually everything he said. He was very clear and stuck to logical and scientific thinking UNTIL he got to rep tempo. Then things fell apart. First, some of what he said was grounded in research. Excellent. However, when Dr. Fischer got into the Tempo segment, he then lost sight of science and fell into the same opinion-trap, paradigm-paralysis that virtually every other trainer falls into. On this subject, he fell into the “I hate superslow reps and I think it’s boring so screw the science on the subject and let me offer my opinion as if it’s science” way of thinking. Really too, too bad. FE: He said using 10 second reps requires a light weight. The research by Dr. Wayne Westcott showed this isn’t the case – in 3 different studies comparing 2/4 rep tempo to 10/4 and 4/10. In his research ALL groups were required to reach muscle failure in 48-72 seconds. In order to reach muscle failure in a 10/4 rep tempo as compared to a 2/4 rep tempo, the resistance for the 10/4 tempo MUST be higher. Nothing else is possible. In this way, fewer reps will be performed, but the weight will be heavier. (BTW, repetition number requires scientific study – IOW, does repetition number matter at all for hypertrophy?) FE: What will work better for the biceps hypertrophy: Performing 3 reps to failure using 130 pounds in a 10/10 count or 8 reps to failure using a 2/2 count using 100 pounds? That Bret Contreras would single out a 10 second superslow rep and suggest it’s inferior – without even mentioning the lighter weight issue – clearly shows his bias. Dr. Fischer should have pointed this bias out – but he didn’t. And he didn’t because he holds the same bias. As an aside, Dr. Ellington Darden in his work (not a formal study) showed extremely good hypertrophic gains from 30/30 rep tempos in his book Body Fat Breakthrough. Here are the facts: Research on the subject of slower rep tempos, using a similar load, taking a set of an exercise to failure always shows equal or better hypertrophic and strength gains using the slower rep tempos. Opinions on how it feels to do slow reps like boredom, pain, etc. are irrelevant to how rep tempo affects hypertrophy. Thanks for this podcast. Loved it! Based on stuff I have seen published recently, I thought the emerging consensus was that, for hypertrophy, load doesn’t matter as long as you go to failure. Does Westcott’s paper show that heavier weight was required to reach failure for the slower tempo rep? Thank you Fred. Really appreciate the comment and your thoughts. Really enjoyed this episode. Was thinking of a question which you actually did ask at end but he gave a quick answer! It’s in relation to perhaps doing a second or even third (heresy I know!) set when using free weights or regular gym machines. I and I’m sure most people dont have access to med ex etc so end up doing HIT workouts either with free weights or with whatever machines are in their local gym. I know you heard Dr Doug’s recent podcast when he thought maybe it did warrant more than one set when not using a top class machine. I’m probably biased in that anything Doug says I take to be the gospel! But I was interested that James didn’t agree and would love to hear more. I’ve started doing more sets recently as an experiment and it’s hard to tell. I can use the same weight, do say 5 reps by 6 sets til MMF (with rest in between but not much and still a quick workout) or say sets of 8 reps, 4 reps, 3 reps with maybe just 4 deep breaths in between, but half the volume is getting done. It’s as if 5 reps doesn’t get me near failure so I can keep doing 5s whereas if I do 8 reps I’m much closer to failure and then can only get out 4 and 3. I also did pull ups to failure and then kept adding sets of 1 rep and could get quite a few more 1 reps in. I’m playing around with things a bit now, being careful not to overtrain and am enjoying it, but I always like to know the optimal and to figure out the above scenario…I.e. if I can get more volume in with same weight by just taking about 4 more additional minutes, and not on a med ex machine, is that better than the lesser sets/reps (or indeed 1 set). As someone said above also,, in compound movement how do you know which muscle is actually worked to failure. I k how Ted Harrisson always liked a bit of extra volume because he said he was vain! Sorry for such a drawn out message!!! Thanks Simon. Great question. I’ve pondered it too. I think James would say it probably makes no difference. Just go to MMF (all things being equal). Remember, that each variable (volume, frequency, intensity, etc), all depends on each other and the answer will change. I think Doug’s belief is that there may be something to the increasing number of “contractions” as opposed to longer TUL. I’ll consider this talking point for Part 2. Any reason my comments haven’t shown up, it’s just the first time I’ve left them since the change over? Good info. MMF is for me not the goal but a concequence. Deep muscular fatigue is what I’m after in a timeframe from about50-90 seconds. There will be the combination of muscular damage, metabolic stress due to high rate of ATP use and increased lactate production and the most amount of fiber recruitment in combo with max motordrive. That’s simply what I’m after. Might mean proceding with partials or doing RP reps to continue. Science can show a lot that we can use on a individual base. I think that doing slow reps (say not faster as 4 seconds) with adequate resistance takes a learning time for the feel and the application of good turnarounds. Doing fast reps with however controlled turnarounds are for me hard to imagine. The intend to move as fast as possible while being enough fatigued so movement is slow is a logical concequence if max intensity is understood. Then we have over the years good and bad workouts based on circumstances of life etc. If results don’t show allways up that doesn’t mean the process was wrong. Dougs application of a year shedule, switching for recovery, is sound IMO. However, he never said to do exact his example. As far as I know does he use this idea according to the life/work circumstances of the moment e.g. a period of nightshifts and longer hours ask for short 3 way split workouts to enhance recovery. Keep the basics in mind, apply them to the best possible, if not genetical having won the jackpot………..you still can build and keep musclemass above a level that’s needed for a long healthspan. With that in mind, get a life do not waste life because some science ‘showed ‘that that was necessary to get a life (as far as musclemass is concerned). All IMO and nevertheless it is just interesting stuff to discuss………..so the debates and ask for “proof’ will continue. Wise words as always Ad. I always enjoy learning more from your perspective. I have to say, and this may have come through during the episode, that whilst I am interested in muscle hypertrophy, I know my limitations, and I’m just not as obsessed with it anymore. I just enjoy the process and make my decisions based on health first and let the rest follow, as you taught me. So, I’ll train once or twice a week, and that suits my schedule, lifestyle, stressors, sport commitments. If I were doing 3 or 4 times a week, I’d probably have to compromise in other aspects of my life in order to provide more recovery and not feel like crap all the time. Not worth it for me. And doesn’t seem to yield better results anyway! Good for you Lawrence, as far as I can Judge how you like to live life. Been there, done that is what I can say as part of me growing older and experiencing what the “wrong”perspective can and will do to life (my life in this case). After all, why are we after “being swole “? In 99,99% of the cases it is to impress with masculinity based on exaggerated the muscle part of it. It’s like a women pump up her lips and/or breast etc…….you get he idea. So, health first and the body expresses itself within the possible and broad range. Comments are fine……..but all is IMO. IMO … The only time you should try to move faster in a set is right before you can’t any longer … but trying harder to will keep you at the pace you are trying to stay at. Slow reps look slow but as you deal with reducing strength you have to try to move faster … this is what wipes you out … slowly down to much brings friction into the equation and can stop movement when muscles did still have the strength to keep moving by contracting harder (trying to move faster).